As expected rain has arrived and rain is beginning to exit the area. Along with the rain moving out, a couple lines of clearing are starting to appear on visible satellite imagery. Note the rain over southern Illinois, western Kentucky and northwest Tennessee. Also note the dark areas on the satellite image. That is the area of clearing. As I have been mentioning the last couple of days, the severe weather potential for the second round of thunderstorms is highly dependent on some clearing and heating. If the sunshine comes through and stays around for a couple of hours things will begin to warm up and destabilize in the atmosphere. 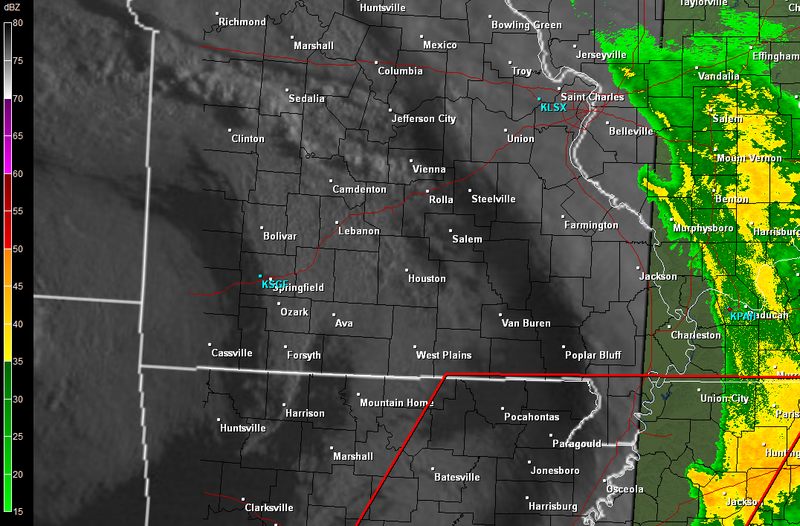 This will lead to strong to severe storms in the afternoon. 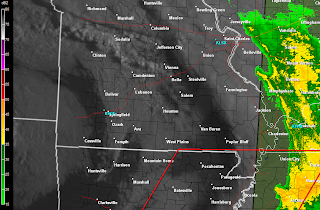 The bullseye appears to be on southern Illinois and western Kentucky with the main threat being very large hail and tornadoes. However, just because I didn't mentioned southeast Missouri doesn't mean that area is excluded from the chance. I think storms will initiate over southeast Missouri and then move in to southern Illinois and western Kentucky as maturing thunderstorms. Keep your NOAA weather radios turned on today and keep an eye to the sky. It may get active this afternoon.